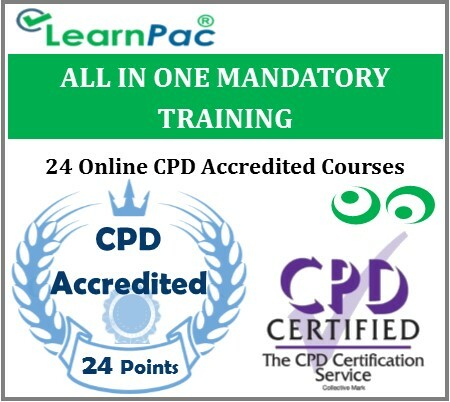 Welcome to LearnPac Systems’ online accredited mandatory training courses package. These e-learning mandatory & statutory training courses were developed to meet the official UK Skills for Health Core Skills Training Framework (CSTF), the Care Quality Commission (CQC) as well as other relevant UK regulators. This mandatory and statutory training course package covers the main points relating to mandatory training. All courses are in line with CQC recommendations as well as the CSTF learning outcomes. The elearning courses have additional online learning materials that provide more details for learners to refer to during the course and in practice. What are the aims of these e learning mandatory courses? To give support to all social and healthcare staff, which will help them to work effectively and safely in order to deliver all services in accordance with their own roles and responsibilities. To help all nurses, doctors and other social care and healthcare staff to work in a professional and safe manner. *Each of the 24 online mandatory training modules provides essential and adequate detail as suggested by UK regulators (including the CQC). A frequently updated end of course assessment that will generate a FREE CPD certificate. A FREE blended learning environment (BLE) for both organisations and individuals. What is covered in this mandatory training package? 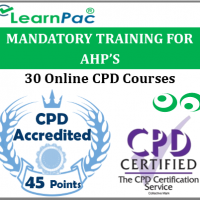 LearnPac Systems’ mandatory training e-learning package should be completed by all healthcare and social care staff, as well as allied health professionals (AHPs). This includes voluntary and unpaid staff working in NHS, as well locum doctors, private hospital workers, locum allied health professionals, healthcare assistants and agency nurses. These Mandatory training online courses are also available for all health and social care support workers, including residential home staff, nursing and charities. 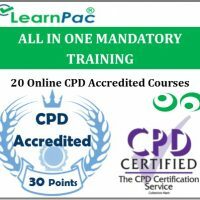 Why choose LearnPac Systems’ mandatory training e-learning courses?